Aquaponics - what is it and how does it work? 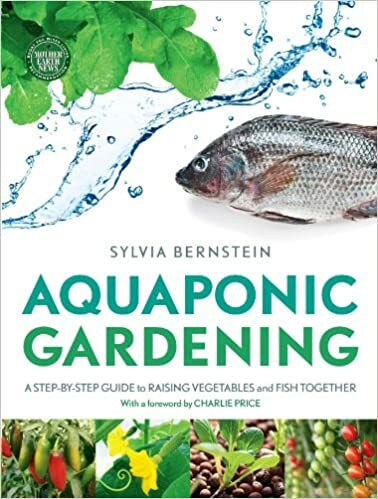 Georgina Starmer October 15, 2017 February 15, 2018 No Comments on Aquaponics – what is it and how does it work? Aquaponics is a much talked about subject, as being a sustainable way to produce food for the table. But what exactly is aquaponics, and how does it work? Aquaponics is the combination of aquaculture, which is the farming of fish, and hydroponics, growing plants in water. Bring the two concepts together and we have aquaponics! Aquaponics makes use of the symbiotic relationship between fish and plants, with each relying on the other in a circular system. The fish are kept in a tank which is connected by smaller pipe to a growing bed. This is an area that is filled with a growing media for the plants to sit in, such as gravel or clay pebbles. The dirty water, containing fish poo and waste, is fed from the tank through the gravel beds. The waste provides plants with the nutrients they need to grow. As the water passes through the gravel beds, it is also filtered and cleaned by the plant roots, and then returned back to the fish tank. The only thing that needs to be added to this system is something to feed the fish with, and a pump to oxygenate the water like a normal fish tank set-up. There also needs to be a pump that moves the water around the system, and a heater to keep the water at the right temperature, depending on what species you use. Over time, there is the need at add more water to the system to replace what is lost through evaporation, or what is absorbed by the plants. The joy of this aquaponics is that this can be scaled up to produce vast amounts of food, and if edible fish are used, such as tilapia, there is also a way of having a sustainable source of protein too. 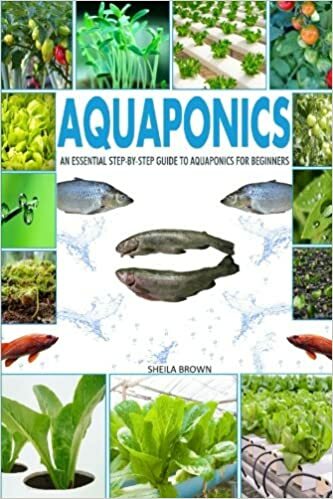 More people are becoming interested in setting up their own aquaponics systems at home, and there are a variety of aquaponics starter kits available that help you take the first steps. As you progress, you might want to consider building your own aquaponics system so you can produce the yield of plants and fish you want. Aquaponics systems range from small units that can be set-up on a desk top, to large systems for growing food commercially. What fish are used in aquaponics systems? 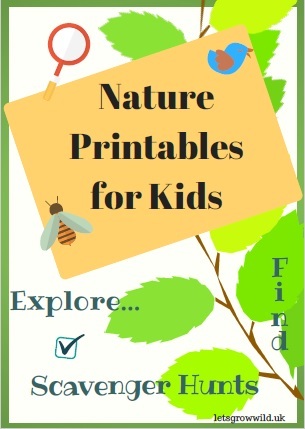 If you want to raise fish to eat, tilapia are a good option. This fresh water fish has a firm, white flesh and is very tasty, plus it has the ability of tolerating changing water quality. If something happens to upset the balance for the water quality in an aquaponics system, you want a robust fish that is not badly affected while it is put right. Other fish for aquaponics systems are koi carp, and other ornamental fish like goldfish, guppies and tetras. The success of any aquaponics system relies on healthy fish, and this is only possible by maintaining the right conditions for them to thrive. Clean, oxygenated water, the correct temperature for the species, enough food, and a stress free environment is key to success. 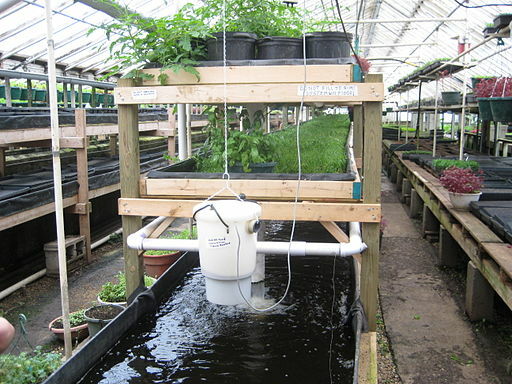 Almost any type of plants can be grown using aquaponics systems. Fruit, salad crops, vegetables, leafy greens, beans, herbs, flowers. Aquaponics systems are an efficient way to grow crops in a small space, without the need for fertiliser or herbicides. Aside from being an extremely productive way of growing food, another benefit is that food can be produced without excess waste or pollution, plus it can work all year round. It sounds interesting doesn’t it? 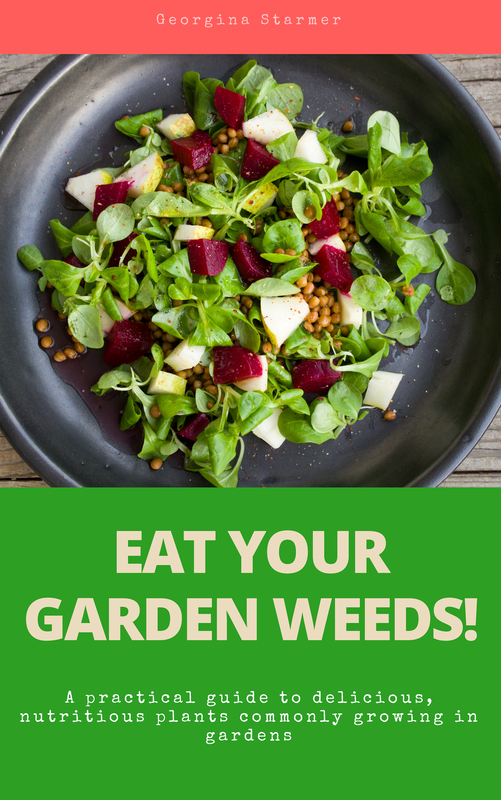 Give aquaponics a try and see how much food you can produce from your garden or home!